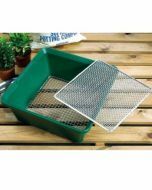 This 18 pot vegetable growing tray can be used in the Garden or Greenhouse. The tray keeps the pots upright. 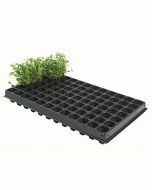 The growing tray is made from black plastic which helps absorb the heat for warmer roots. This planting tray allow you to nurse healthy plants from seed in your greenhouse or home. 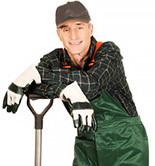 Great for growing peppers, courgettes, cucumbers, chilli’s and tomatoes.